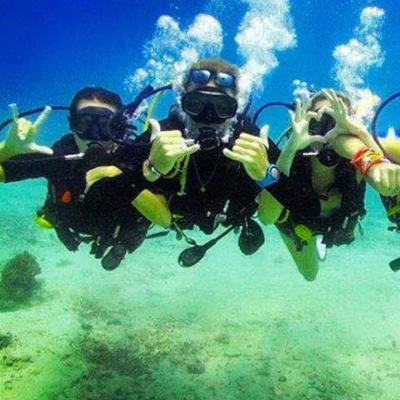 Try a day of Scuba Diving! Meet your instructor at the shop, complete Try dive paperwork and begin the experience. Out on the Roctopus Dive boat to two beautiful, shallow water dive sites. The “Try dive” is not a dive certification. If you’d like to keep diving after your initial experience, you can sign up for another Try dive, or move onwards to complete your Open Water course. **It is recommended that you do not fly within 18-24 hours after diving! Includes all learning materials, dive equipment, and refreshments on the boat.